We are so excited to continue to highlight an extremely important group of people in our Rett family, our Rett BOYS! 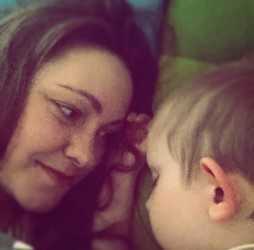 Read on to hear Maja and her son Tobias’ journey with Rett Syndrome from Denmark! What is one piece of advice you would give to a Rett mom who is struggling? I think we all struggle on/off because Rett does that to you. 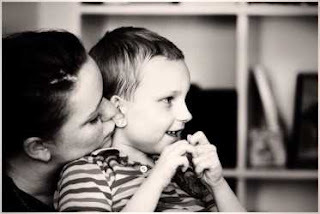 The feeling of being utterly lost as a parent of a Rett boy comes and goes, and I think it’s very important to know that it is perfectly okay to struggle. Just breathe and feel all the feelings running through your heart. What would you tell a newly diagnosed family? My boy Tobias, who is turning 11 in March, got his diagnosis last year so I still am not even sure what to tell myself. I’m the kind of person who went online and looked at all articles regarding Rett. I broke down and cried for days. 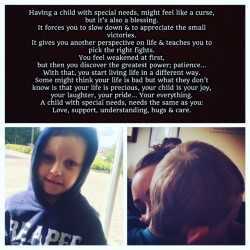 Much of the information you find out on the web about boys with Rett is very doom and gloom. I think it’s because it’s a very small community and there’s not enough organizations out there talking or sharing about our boys with Rett. I read early on that “most boys with Rett live a very short life.” I highly recommend to not give into that or believe it. The most important is to get out there and learn everything you can and care for your son the best way you can and know how to. It’s important to know too that it is perfectly fine to feel some anxiety about the future. You can’t let those feelings take over though. We have to understand that every child with Rett is different, unique in his or her own way and it’s important to know you’re not alone. 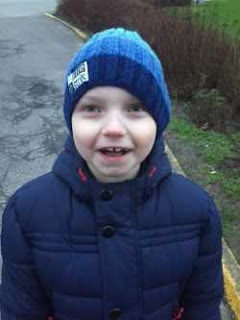 Our Tobias has brought our entire family unbelievable joy and it’s our job, our duty to care for him the best way we can and that starts with getting quality education about how to help care for him. How is Rett syndrome different in boys than girls? This is a very difficult question to answer without sounding as if we are competing with which gender suffers the most but I can share that what I’ve learned is often the boys are much more medically fragile than girls, not in every case though. Since girls are born with two X-chromosomes, it’s possible that 50% of their cells are impacted whereas boys only have one X-chromosome, so typically their cells are impacted at 100% but then there are the mosaic Rett mutations. What is your Rett boy’s favorite activity? Tobias is a big fan of cartoons such as Kung Fu Panda, Happy Feet, Madagascar, etc. He wants his cartoons to be a bit wild and not too baby-like. I know he feels safe and at ease when he watches TV, but I do admit, I wish we could focus on some other activities besides television. He also loves to eat but who doesn’t? Ha Ha! Our biggest struggle I think has been ensuring he receives the care he deserves. We live in Denmark and I know that from the viewpoint of the world we may appear to be privileged when it comes to healthcare in comparison to other countries with such things as hospital visits, medication, therapy expenses, etc. but since Tobias just received the Rett diagnosis last year, we have really had to fight the system to make them understand my boy and his needs. Another major struggle is a mix of many things. The other is that Tobias is not very social and does not care to be in large crowds or where there are many people gathered. He can become physically sick if I take him somewhere he hasn’t been before, so our world is very small and frankly, it can become quite lonely – especially since I’m a single mother. Tobias’ smile is incredible. He brings us so much joy. There are so many things that Rett Syndrome has robbed Tobias of but I must admit that I do try to focus on the good things. Like how he uses his eyes to communicate with us and can suddenly laugh out loud. To hear him laugh puts a smile on my face every single time. How do you continue to make time for yourself? Time for myself? What is that? Ha Ha! As a single mother to a son with Rett, I must say I don’t have a lot of time for myself. Tobias usually spends once a week at my parent’s place and that’s the time I use to unplug a little. It’s not a lot but does give me a bit of time to recharge and regroup where I need to. What do your Rett boys goals look like? I like to just focus on the present but of course there are things I really want for Tobias. So I try with ‘smaller’ goals. The last one I had was to get him to work on sleeping in his own bed and it happened! He recently has improved in some fine motor skill with holding his fork when he eats, something we’ve been working on and now we’ll keep building upon. A larger goal we have is to create more awareness about Rett Syndrome and what boys with Rett go through. Maybe we’ll end up finding others out there that need more information or education and I can help encourage them along the way. This year I plan to host an event to support Rett Syndrome research in Denmark. I want the world to know all about my wonderful son and the incredible possibilities for an amazing future we have hope for! 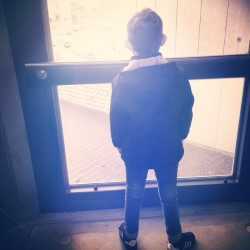 The miles may separate us, we may have boys or girls, we struggle with health concerns, physical issues, educational problems or maybe even all of the above, we have differences for sure but one thing that brought us all together is Rett Syndrome. Someone one said that this is the best club you never wanted to join and we would agree. Thank you Maja for sharing Tobias with us!